But the undersea city of Nazjatar isn’t the only place that we are going to be going in Rise of Azshara. 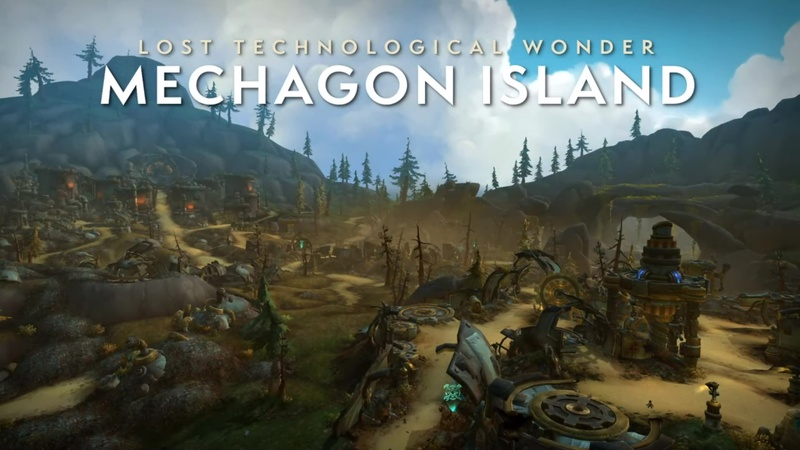 There is also the lost technological island of Mechagon. Heading out to Mechagon, we are going to learn that there is a small town (shown here in the lower-right) of Rustbolt. 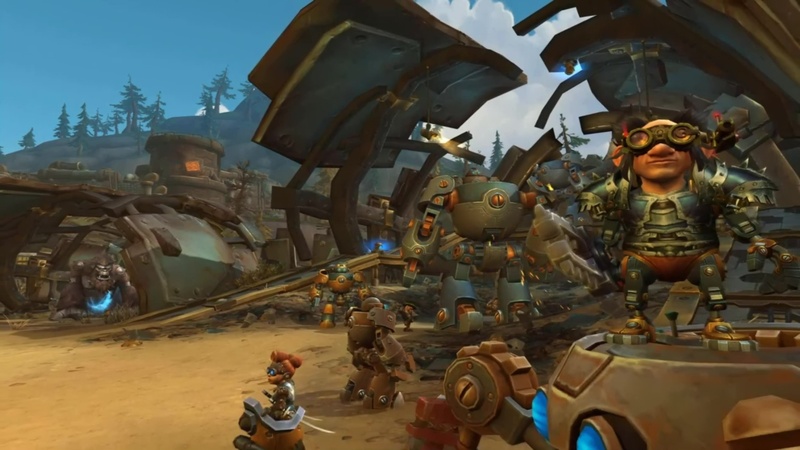 Rustbolt has long being fighting against the tyranny of King Mechagon who lives inside of the walled-city. King Mechagon is building a doomsday device. His great goal, and the goal of all of the Archforge (this heavily mechanized gnomes who live inside of the city with him) is to turn everybody back into robots. Of course, we don’t want that to happen. So we are going to be helping out a variety of friends down here in Rustbolt. First we are going to help them rebuild a little bit of their city, building up new mailboxes, and base defenses, then we are going to help them rebuild a little bit of the island. One of the cool things we are trying to focus on here in Mechagon is making it all about building and tinkering. So you might notice about their construction projects scattered across the entirety of the island. 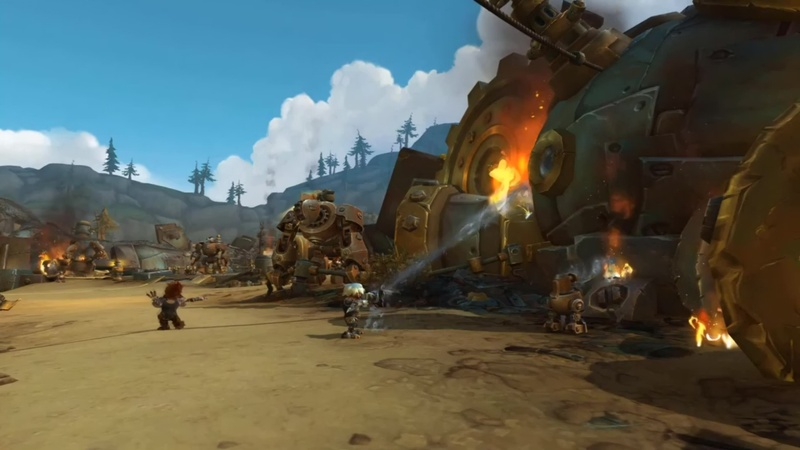 These are projects where you and other players come together and use some of the resources that you can gather by scavenging and scrounging around Mechagon in order to rebuild powerful structures that give you an advantage on the battlefield. You may have a powerful boss standing in front of you right next to two destroyed flame turrets. If we all come together and repair those, taking down that boss, and completing our quest is going to be much easier. As mentioned earlier, we are also going with a slightly different questing structure here in Mechagon. In addition to all the great main quests and the side quests that are going to kick off from there, we have also got a visitor system. If you built an Inn back in your Garrison, you may have seen something like this. Three highly thematic visitors are going to visit Mechagon every day. Each of them bring with them changes in the spawning of the zone, and a special daily quest for you to help them out. Helping out all of the three visitors every day is one of the best ways to get your Mechagon reputation up, then also gives you an awesome reward; and that’s one of your main ### in Mechagon, where everything else is very open-ended, and find-it-at-your-own-pace. You may be able to build a mechanical cat only to find that you can then collect 9 scheme colors for it from a variety of different activities. You may start building a crazy robot that turns out ending up being a giant awesome spiderbot mount after you put in a little bit of effort into it. 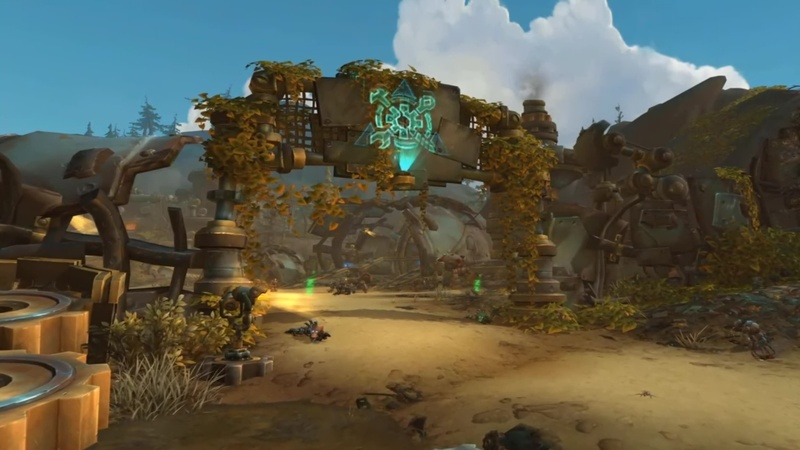 This an a variety of other out-world activities awaits you in Mechagon. 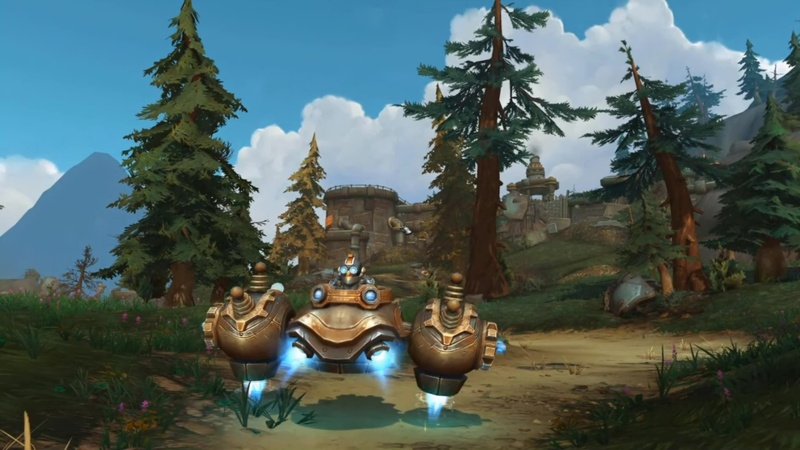 Similar to Nazjatar, Mechagon will also be featuring a Timeless Isle-like rare spawn system. When you see one of those stars show up in your mini-map, it will often be one that you don’t see very often. Some of them have a longer respawn timers, some of them are very rare or have odd or different or secret ways to get them to spawn; and you know that when you see one of those stars on your mini-map, it always have something awesome on its drop table; or at least, you have the potential to getting something awesome… unless you already have that mount. You will see that system incorporated both here and in Nazjatar. We feel like it makes exploring end-game pretty exciting to be able to see those again. 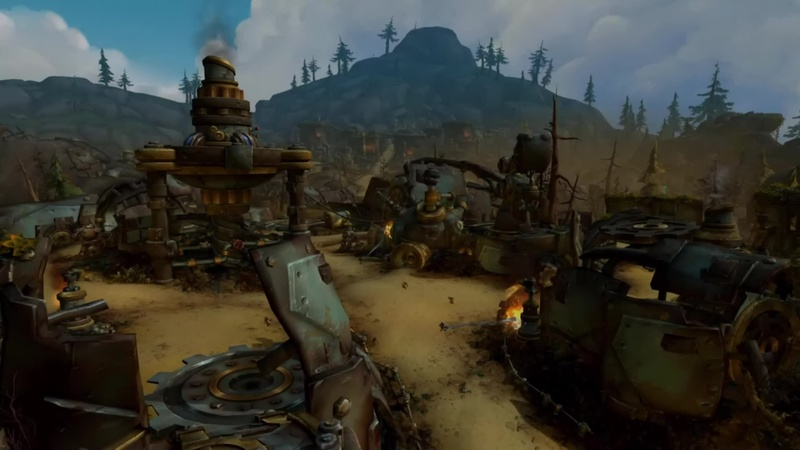 So let’s take a look at the exterior of Mechagon Island– ohh, actually… hang out one second. Real quick. So… a little bit further into the crafting and tinkering aspects of Mechagon Island, one of the things that you are going to be doing is building up this guy. This is Pascal the Robot. Pascal is a new system that we have implemented that allows you to collect schematics from questing and adventuring around Mechagon; and then build him up further. This is one of the ways that you are going to be specificly building up your hub. You can then gain a scrapped batteries that you gain around Mechagon to build a variety of different things here at Pascal. So this way it allows you to unlock whole lot of different things over the course of your adventure, and build them yourself. Very tinkering – very mechagnome focused. 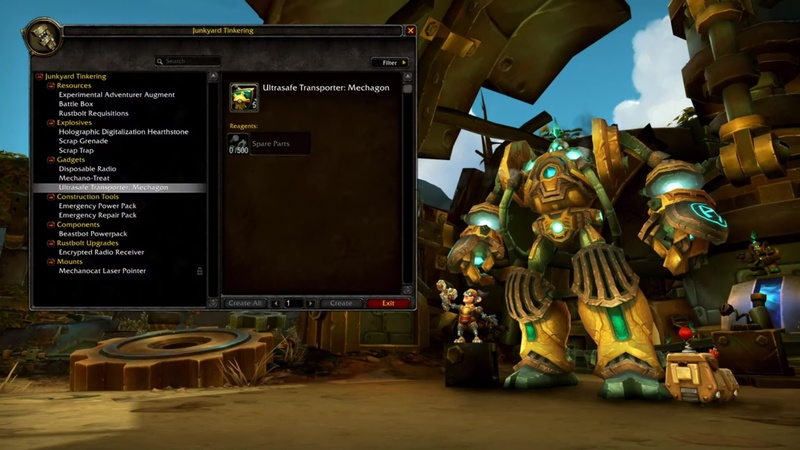 As you can see here, some of the cool things you are going to be able to get from Pascal include the ability to transport immediately back to Mechagon; a Mechanocat Laser Pointer that gets you the aforementioned Mechanocat mount; and a variety of different powerful consumables. You may even want to stop here at the beginning of the day and pick up some Electroshock Grenades before you head out to Nazjatar, because they are pretty powerful. Alright. I said it before, but now we can actually do it. 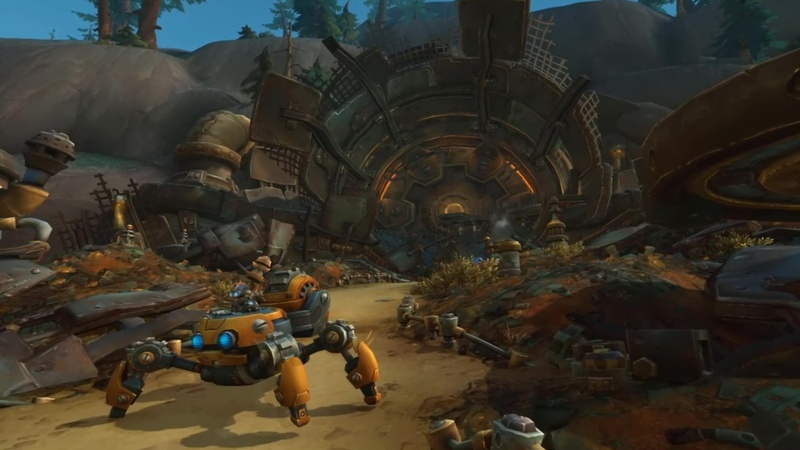 Let’s take a look at Mechagon city.